Partnership is at the core of the Hornibrook approach. 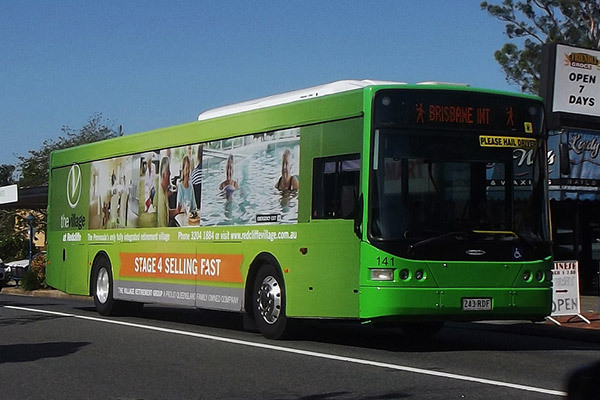 Through Hornibrook, Keolis Downer is the only bus operator holding contracts with both TransLink and Brisbane Transport. In addition to its main contract with TransLink, Hornibrook is the only company to sub-contract to Brisbane Transport. This arrangement was made possible because of the strong relationship that has been established between the two entities, founded on trust. One of the key focuses of our business, is enhanced driving training to reduce ‘fuel burn’ and enable efficiencies. This training has led to a reduction in fuel use, which reduces costs and damage to the environment. Employee loyalty and a strong culture of teamwork are key factors in the success of Hornibrook. For example, our longest serving employee has just passed his 47th anniversary in the business. Now in his 60s, he is in great health and intends to pass his half-century with us. Hornibrook is very proud to be playing its role in a multimodal network and to ensure that service and timetable changes deliver the best outcome for customers. The Moreton Bay Rail Project is a $1.147 billion, 12.6 km extension of the QR rail network from Petrie to Kippa-Ring with six new stations that was completed in 2016. Hornibrook manages these new services and is working with TransLink to ensure that they are focused on providing customers with a door-to-door transport solution. Additional to the new services are extended operating hours and increased frequency for pre-existing routes. Hornibrook developed a depot near what is now the famous North Lakes development managed by Stockland. Over 20,000 dwellings are found in this growth area of Brisbane, and the local community is benefitting from the new bus services that we are now providing.